Media personality, international travel and lifestyle presenter, emcee and speaker Anita Kapoor, shot to fame as the clear favourite winner of a Discovery travel host search and hasn’t looked back since. Insatiably curious and a natural wit, she has explored the world for Discovery TLC, AXN, Lonely Planet, Channel News Asia and OKTO, and Starwood Asia Pacific Hotels, forever on a quest to pioneer the non-conformist stories and locations and especially to connect with the provocateurs who move their worlds. As a professional emcee, moderator and speaker, Anita’s television background translates easily as a charismatic and vibrant presence on stage, commanding the room with natural ease, humour and global appeal. Her clients include lifestyle brands, banks, trade commissions, embassies, governments and charities. Anita is also a clear voice on issues of equality. An ambassador for the Singapore chapter of Habitat for Humanity, she was also one of Pink Dot 2016’s three Singaporean ambassadors in support of equality for the LGBT community. She recently completed filming a social documentary on elder care in Singapore in which she volunteered to live in a home for two weeks. The film garnered close to 500,000 views in awareness. 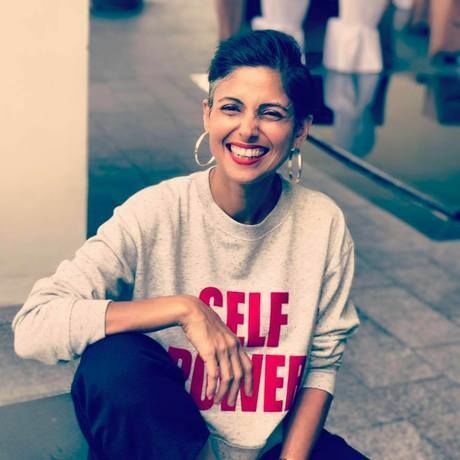 Her other advocacies include Magic Bus which empowers children’s’ lives in India through sports and she has spoken at TEDx Singapore Women 2012 on ‘Female to Female Misogyny in the First World’. A third culture kid, she was born in Mumbai, raised in Singapore and continues to circle the globe, but fondly calls The Lion City home. The Singapore Art Museum advocates and presents contemporary art practices of Singapore and the Southeast Asian region. Housed in a restored 19th Century mission school, SAM has amassed one of the world’s largest public collections of modern and contemporary Southeast Asian artworks. This month we are at our usual spot at the Singapore Art Museum, Glass Hall. GETTING THERE By MRT: Bras Basah MRT Station Traffic is unpredictable in the area during mornings, so do try and take public transport if possible.